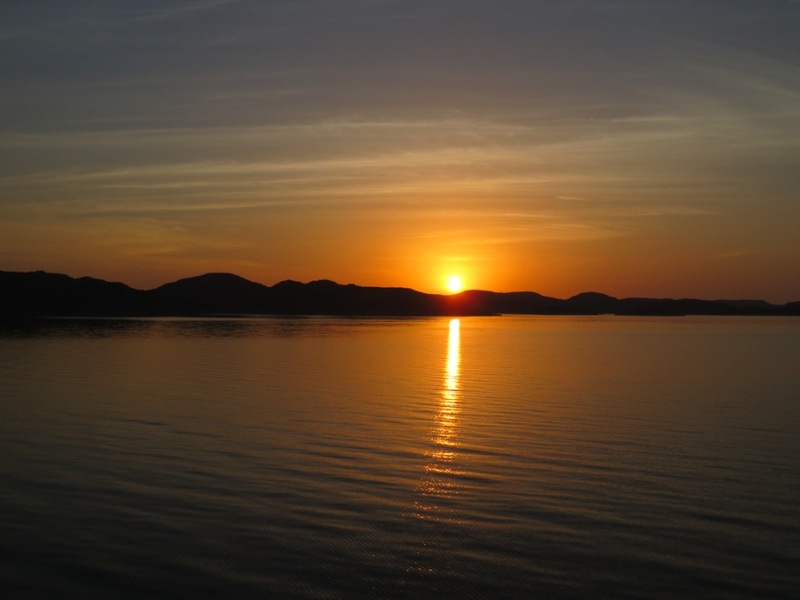 Lake Nasser, the largest man-made lake in the world, some 550 km long and 35 km across at its widest point, it forms the watery divide between Sudan and Egypt and is the setting for our next adventure. We were up early with our fixer Mazar and headed straight for the market where he could begin the arduous process of arranging all of our documents to get through immigration and customs. By 9am, we were at the port and despite being winter, the temperatures were already reaching 35°C. The passenger ferry and cargo barge had arrived the previous day and we sat and watched the chaos of boxes being unloaded and dumped in huge unorganised piles in front of customs; there were people shouting as others forced their way past carrying the most enormous loads up on their shoulders, or commandeering any type of moving object to help lift their goods from other men, trolleys, wheelbarrows and donkeys. We realised we would have to sit and wait for customs to try and work their way through the carnage before we would be allowed to load Kylie and ourselves onto our respective barges. 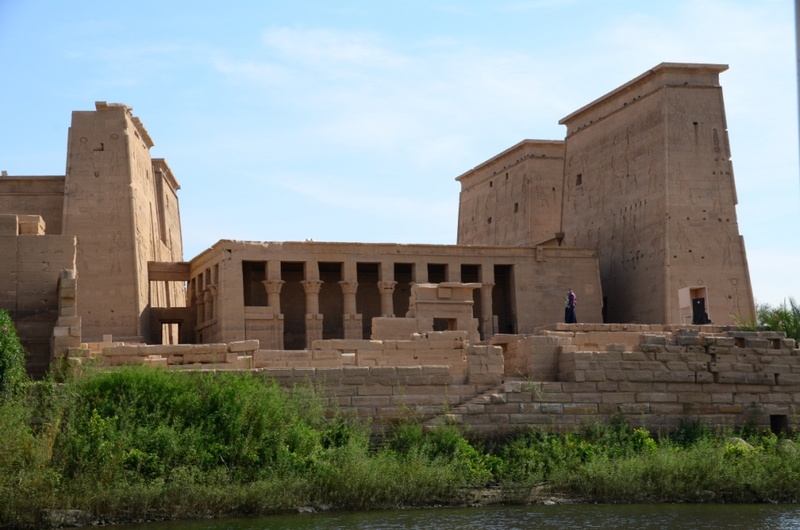 We waited all day, realising as the hours ticked by that the barge that would be taking kylie to Aswan was still stacked high with boxes of stuff and the likelihood of us driving her on was diminishing by the minute. 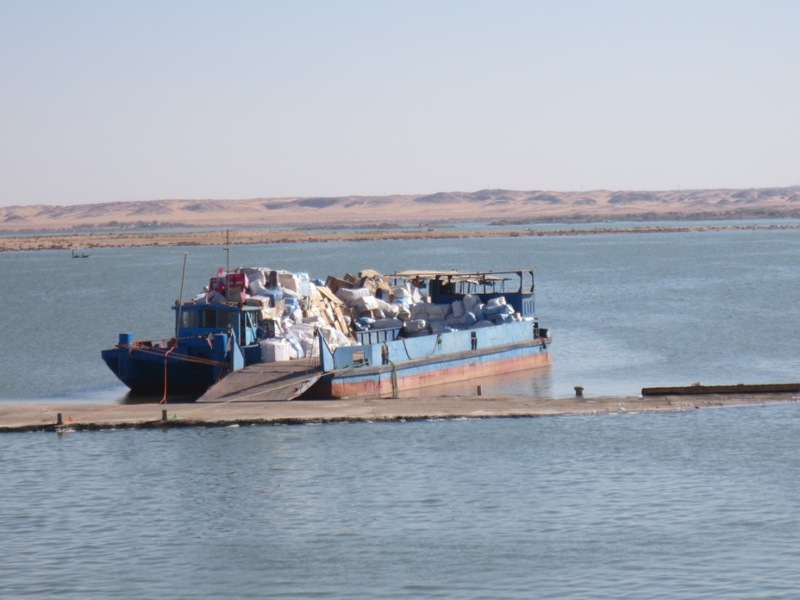 As the cars have to use the separate cargo barge, their timetable is completely dictated by what goods have to go where, so there is never a guarantee of when it leave. 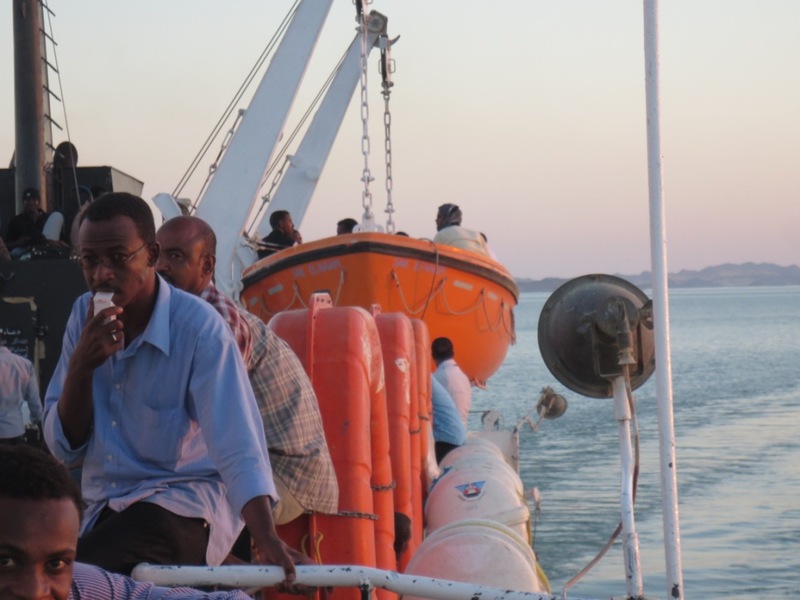 The passenger ferry however, generally runs from Wadi Halfa on Tuesdays and when the Captain deems the boat full, it leaves. 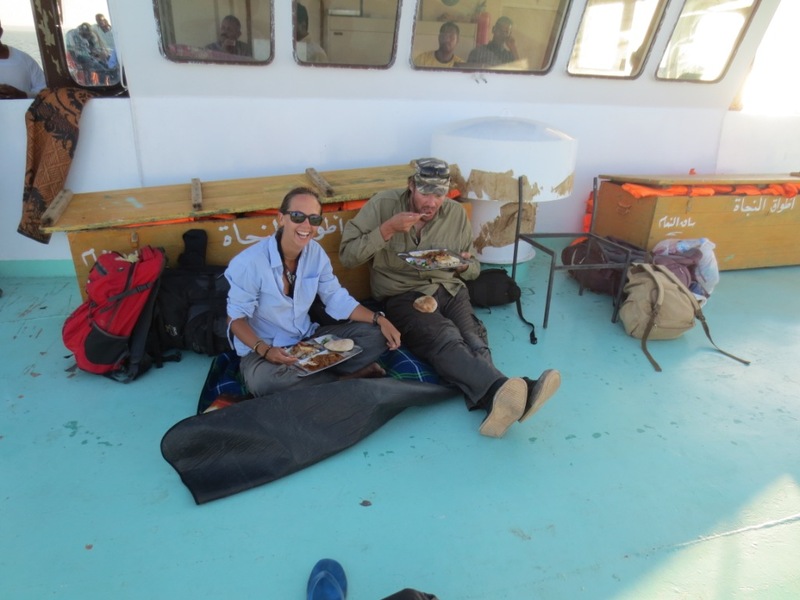 So by 3pm, Mazar suggested we should board and find a good space on deck to make our camp for the night. 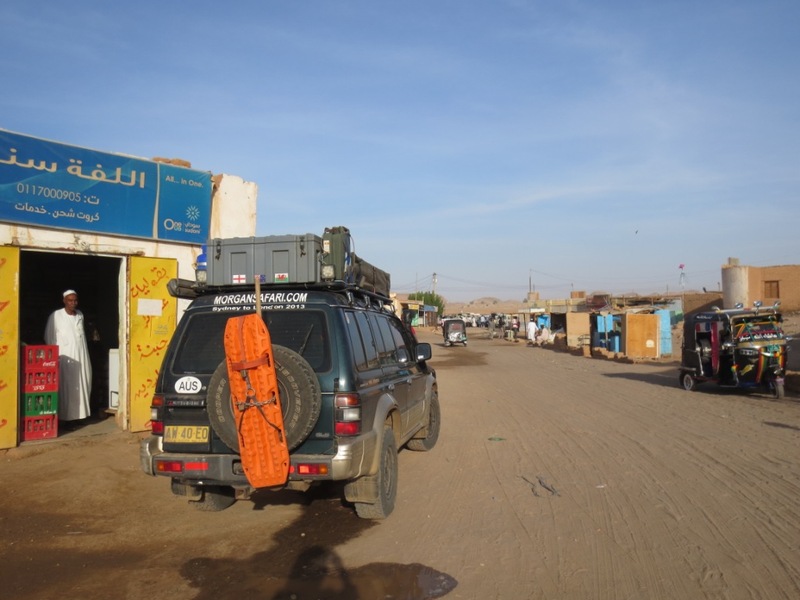 We handed over the car keys to him and headed for the ferry – it made us both uneasy to be leaving our team mate behind, but we trusted our fixer and knew he would do all he could to send her on as soon as possible. 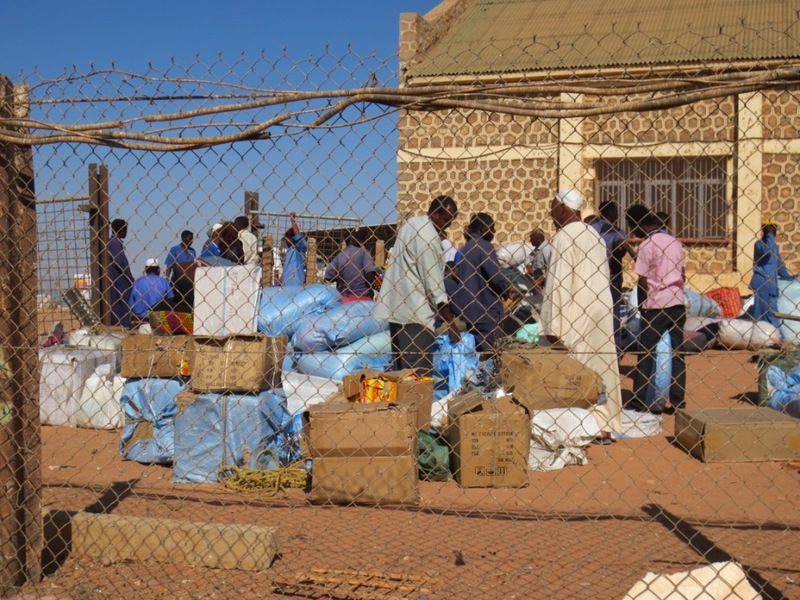 As we walked up to the ferry , the boat was already packed, arms and legs seemed to hang off every level, but Mazar had told us to head straight up to the captain where for 50 Sudanese pounds we would be able to offer a small bribe for the privilege of sitting up at the helm, away from the hoards of people. Even the lifeboat was full! 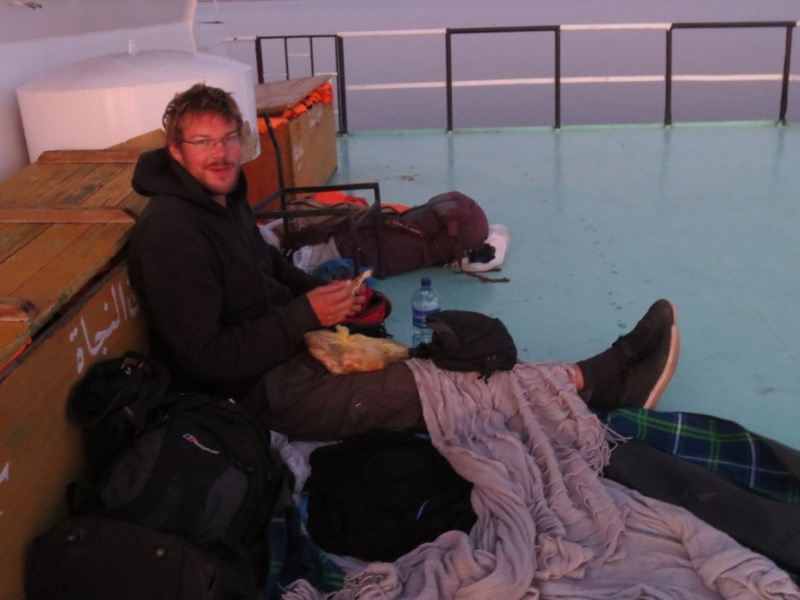 We set up ‘’camp’’ on deck, rolling out a picnic rug and blankets to sit on and were soon joined by 2 other firanjies – Josep, a Spanish solo traveller and Steve a Manc who’d cycled up from Cape Town. We had a good group to while away the hours and finally by 5pm we were on our way. We could still see Kylie sitting forlornly by herself in the customs yard. Hopefully this wouldn’t be the last time we saw her! Despite the horror stories we’d heard about this boat trip, we actually rather enjoyed it. 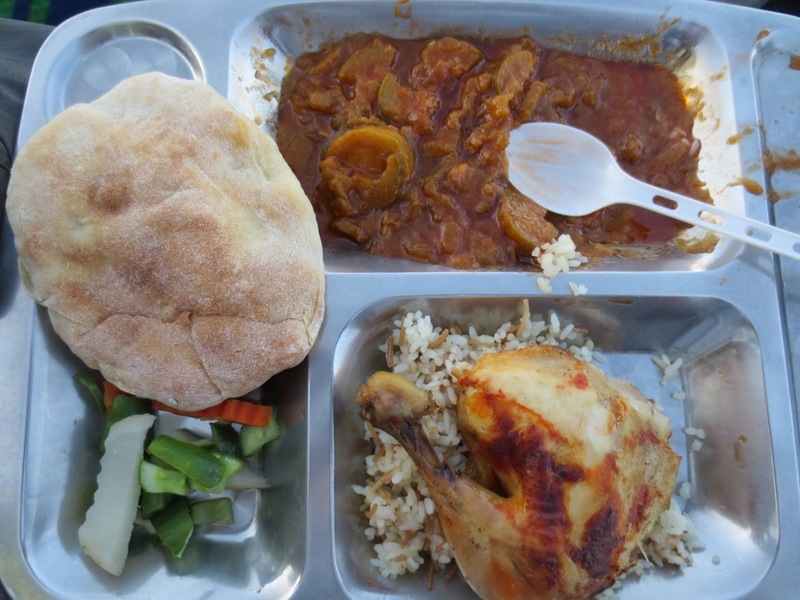 Ok the toilets were pretty unpleasant and the free meal was average, but with our camp set up and new friends to pass the time with, the hours soon flew by and lying out under the stars was pretty spectacular – between us counting out the shooting stars that streaked above our heads. 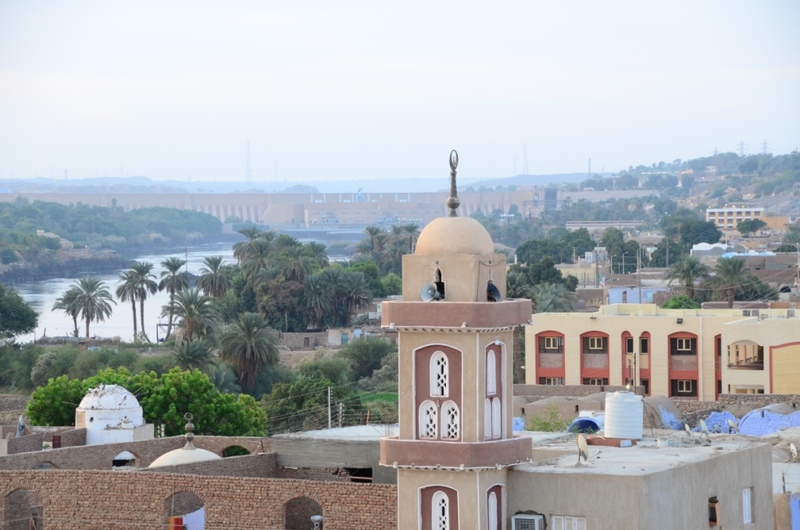 Despite the chilly night, we all managed to get a fair amount of sleep and by 10am the next day we had arrived in Aswan. As soon as the boat had docked, people began throwing their goods off the deck or forcing them out of any window they could. We watched as the chaos unfolded once more. We waited for the crowds to leave the boat and were thankful when our Egyptian Fixer, Kamal arrived on the dockside to come and help navigate us through. The Egyptians are a very shouty and confronting bunch, very unlike the reserved Sudanese and i took an immediate disliking to them. It was total bedlam as Kamal lead us from the boat and left us in what looked like a cattle pen at the end of the jetty while he went to organise our visas. Hundreds of people began to pack into the immigration pen, along with their luggage and boxes of stuff. Tempers began to flare as people slammed into each other, knocked each others boxes over and started pushing and shoving each other out of the way. A number of fights broke out in the pen, which in usual Arab style really just involved a lot of shouting and shirt pulling but we were all running on short fuses and patience was wearing thin. We found an area out of the way and waited for the chaos to clear – it took 4 hours for us to get through! We were not enjoying our introduction to Egypt. 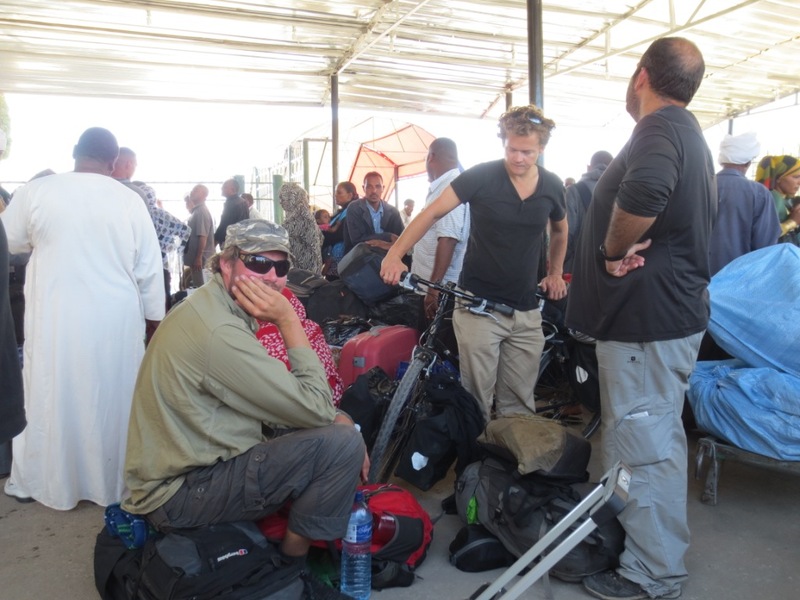 Stuck in the Immigration pen at Aswan , Rich, Steve & Josep – not happy! Fortunately things improved once we were out of the port and on our way to a highly recommend guesthouse, Ek a Dolli, in a Nubian village on the west bank of Aswan. Sadly as with most tourist ventures in Egypt at the moment, we were the only people staying, but good for us, the prices are a bargain! Relieved to be somewhere civilised after so long in the desert, words can not describe the joy of being somewhere clean, with a decent bed and a proper toilet!!! Not to mention, being somewhere with beer! 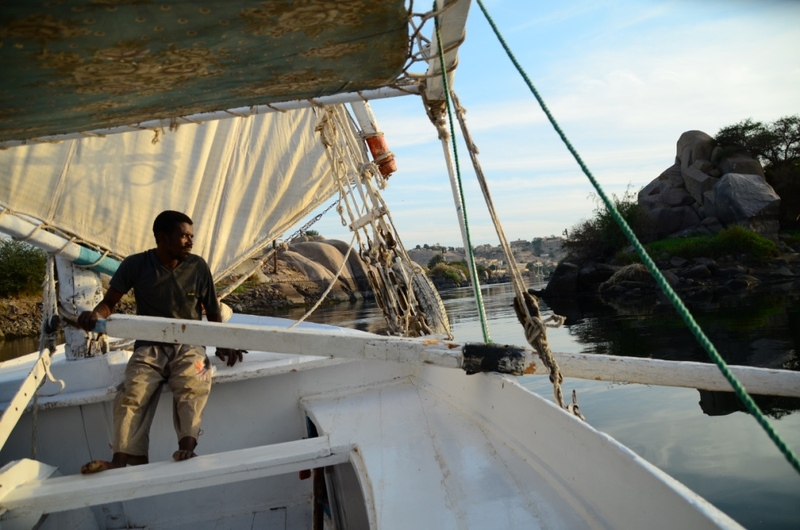 We spent a very relaxing 5 days exploring the sites of Aswan, the very impressive Philae, the High Dam and a hilarious Felucca (traditional sail boats) trip down the Nile, which despite their being no wind, they insisted that we still went. We spent 3 hours being towed by various motor boats, interspersed by some serious rowing from the captain and his 1st mate! Hard work for some on the Felucca! Finally, and with some relief, we got the call to say that Kylie had arrived in port! We headed back down to the chaos and spent another morning waiting for our fixer, to clear the car through customs and organise the Egyptian drivers licence, insurance and Egyptian plates. We were very happy to have the car back again –in total it had taken us 10days to get from one side of the lake to the other! But after a relaxing few days of being a total tourist, it was time to get back on the road and make up some serious mileage. Due to the problems in Egypt, we’d never planned on hanging around and so it was going to be foot to the floor to get through our last African country and into Israel in time to catch our boat to Italy. absolutely wonderful cannot wait for the next instalment, really looking forward to the next part of your adventure.